Few people in the art world would know the answer to “Who is the biggest-selling artist at auction? But works by “Zhang Daqian”, who died in 1983 generated $ 354.8 million in auction sales last year. That is $31 million more than Picasso who is second according to French database Artprice. 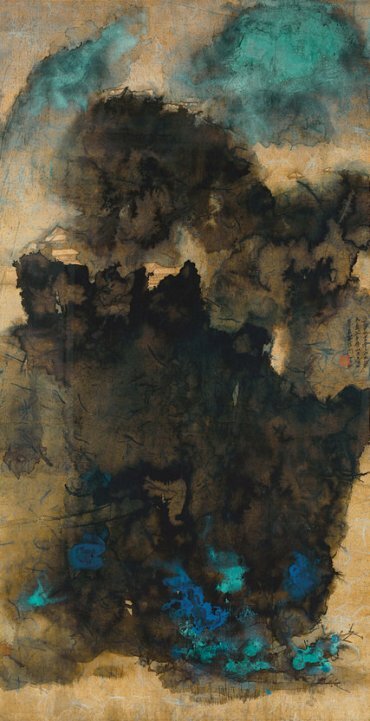 Last week at Christie’s sale in Hong Kong a 1965 “splashed ink” scroll painting ”Ancient Temples Amidst Clouds” sold to a telephone bidder for # 13.3 million. Days earlier another modernist painter Zai Hou-Ki who spent most of his working life in France sold a work for $ 19.6 million against an estimate of $5 million. Both originates from a French family collection since 1969. The scale of these prices reflects how the balance of financial power has shifted to Chinese auctions. In 2016 China captured 38% of the $ 12.45 billion in public art sales worldwide followed by USA at 28%. It is remarkable when you know that in 1985 it was illegal to sell art in mainland China and now there are over 400 auction houses. The rules are being set by Chinese buyers where the money creation during the last 30 years has been phenomenal. Cynical Realism and Pop art has now moved away towards modern masters and the recognition is catching up, especially when they have passed away.